Energy costs are consistently on the rise. It is getting harder to save money on your electric bill each month with all the energy you are using. There are four home upgrades that will save you energy and make each bill a little less painful. The best step you can take to upgrade your home to energy efficiency is to replace an old air conditioning unit. The best air conditioning units are EnergyStar approved. 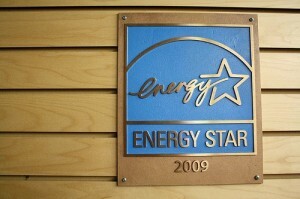 EnergyStar certified products meet the minimum government requirement for energy efficiency. Your energy bills can be cut by $200 a year with an EnergyStar system. Installing a new air conditioning system results in lower energy bills, a comfortable home, and the knowledge that you are helping the environment. But it is also important to keep up with the system. Make sure to change air filters regularly, especially during the heavy use months in winter and summer. Dirty filters will slow down air flow and make the system work harder. The dirt that gets backed up from dirty filters can cause system failure. Once a new air conditioning system is installed, it is a good idea to get a programmable thermostat to maximize energy efficiency. These are great to set the thermostat while people in the home are gone. Programmable thermostats are more accurate than traditional ones and can save people around $150 a year. In order to experience the benefits of a new air conditioning system, the home needs to be insulated correctly. Insulation can reduce heating and cooling costs by 20 percent. For the house to be warm in the winter and cool in the summer, insulation needs to be properly installed. This will be a relief on your heating and cooling systems, causing them to run less. Insulation can cost as little as $15 a roll at a home improvement store. A great way to insulate and help out the heating and cooling systems is to seal the ducts. Ducts carry the hot or cold air to different parts of the home in forced air systems. The EPA estimates that one fifth of this air escapes through leaks in the ducts. Seal ducts that run through the attic, crawl space, garage, and unheated basement first. Duct sealant or metal backed tape is used to seal the connections and seams of ducts. The ducts are then wrapped in insulation to prevent negative heat changes in winter and summer months. There are many ways drafts can make their way into a home, causing the heating and cooling systems to use more energy than they should have to. This also increases your electric bill. Leaks are usually found around doors or windows, but they can also be found in attics and basements. Air leaks can account for thirty to forty percent of heating and cooling loss. Make sure your windows close properly so no air comes in. There are three options to fix any air leaks through windows. The first is adding storm windows, which are a low-cost alternative to window replacement. They fit into the existing windows to properly seal out air without ripping out windows. The next option is weather stripping. A weather strip will patch up any leaks that are coming through specific sides of the window. The best option is to replace the old windows with energy-efficient ones. Wood frames are more energy-efficient and can make your home more green than using aluminum. Plus, installing energy-efficient windows gives you a tax break at the end of the tax year. Energy suppliers recommend installing new energy-efficient lightbulbs in the home as one of the easiest upgrades. CFL and LED bulbs can last four times longer than regular incandescent bulbs. They use less energy, saving you money on your electric bill. While they are a little more expensive, you will see instant reductions in your electric bill. These home upgrades are simple enough to do and will save you immense amounts of money on your electric bills. Not only that, but your home will be a more comfortable place to live with these changes.